Do not get caught out by bad tenancies. Find out if there is a risk before you sign them up. Nothing eats into your profit more than a bad tenant. Whether it’s unpaid rent, damaged property or blatant fraud, getting it sorted is both time-consuming and expensive. Now there is a solution! 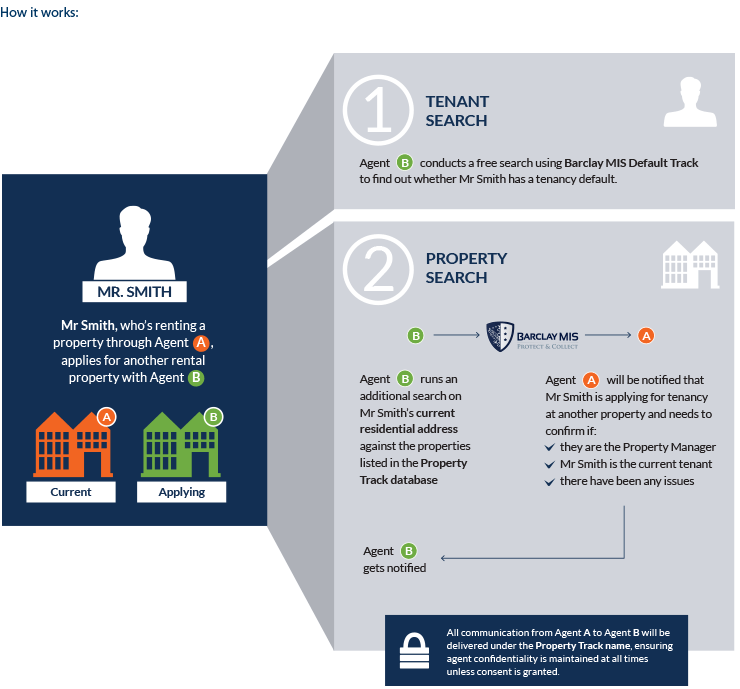 Property Track lets you run tenancy application searches on both individuals and properties, significantly reducing the risk of renting to a bad tenant. Running a tenant default search doesn't always protect you from leasing to a bad tenant. By providing false information on their current residential address and misleading property manager references, bad tenants can craftily make their way into a new lease. And this could potentially be with your agency!